0.65 arc sec (= 1.3 / 2). Next we need to know how large our resolution is at prime focus. This is simply the focal length times the angle in radians. For the Questar with a camera the focal length is about 1350mm. (1 radian = 60 * 60 * 57.3 arc sec). For the Questar 89mm telescope, the sensor element pitch (~ pixel size) must be less than 4.25 microns or we are throwing away resolution in our sensor. Calculating your sensor pixel pitch is even easier. Just divide the sensor physical dimension by the number of pixels in the same direction. 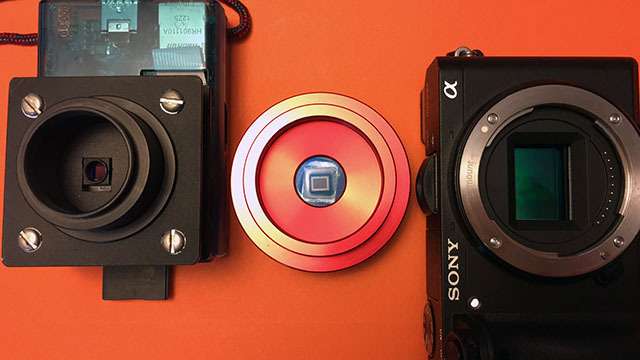 The Sony a6300 sensor for example is 23.5mm and 6000 pixels wide giving a pixel pitch of 0.00425 mm or 4.25 microns! How does the prime focus diffraction limited resolution of your telescope compare to the pixel pitch of your camera? If you are under-sampling your telescope's resolution you can add auxiliary lenses (e.g. focal expanders or Barlow lenses) and trade field of view for resolution. If your processing includes deconvolution, you may want to over-sample your telescope's resolution.